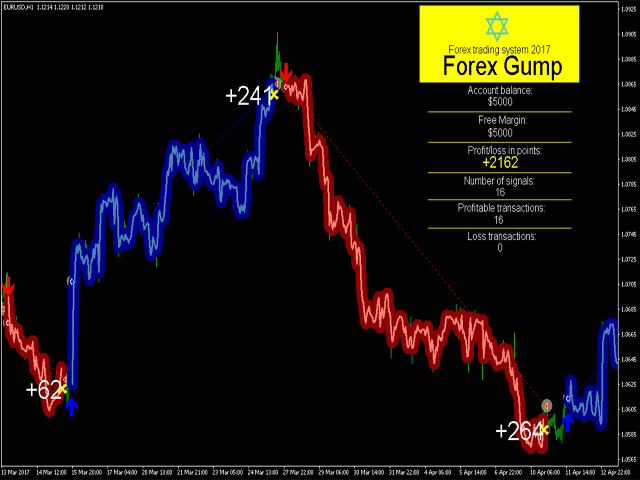 Forex Gump is a ready-made semi-automatic trading system. Market entry/exit signals are displayed as arrows on the screen. All you need is to follow them. However, this can be automated as well. 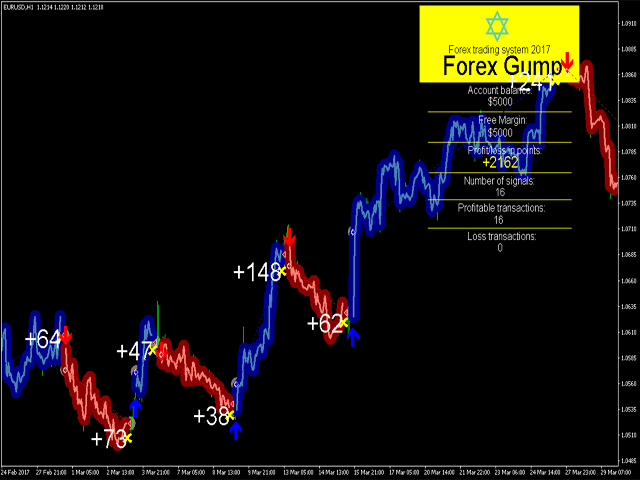 We have developed an EA that follows the Forex Gump indicator opening and closing trades. The EA is provided for free to everyone who bought the indicator. The video below shows the combined work of the indicator and the EA. There you are able to see how trades are opened and closed on EURUSD H1. Information - display extra info and logo. Short_Wave - trend wave amplitude. Индикатор очень нравиться, гонял его в тестере и на реале, показатели идентичные с небольшой разницей, не критичной. Есть и минусовые сделки, но на дистанции даже не большой, показывает отличный результат. i am trying this indicator with good results on m1 tf. now, where do i get the expert advisor?